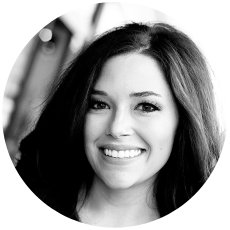 I'm excited to announce ANOTHER new series here on Jane Not So Plain called "Tech Tuesday!" I mentioned awhile back that I am a social media coordinator by day and that some of the things I've learned through my job I've been able to apply here on JNSP. And, I think it's only fair that I share my knowledge with you guys. Remember, we're in this DIY life together! 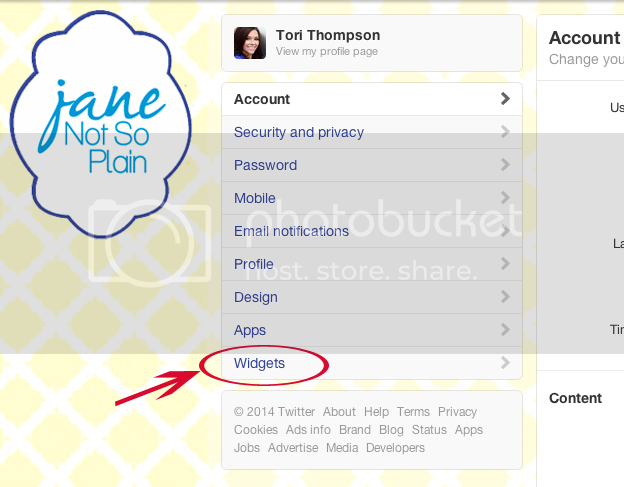 To kick off this series, I want to show you how to set up and install a Twitter profile widget on your blog side bar. Go to your account settings page on Twitter, then click on "Widgets" in the left-hand menu. Once on the widgets page, click on "Create New." You should now be presented with a preview of the default widget that Twitter automatically generates. You can leave everything as is or change the options. The only things I changed for mine was the height. 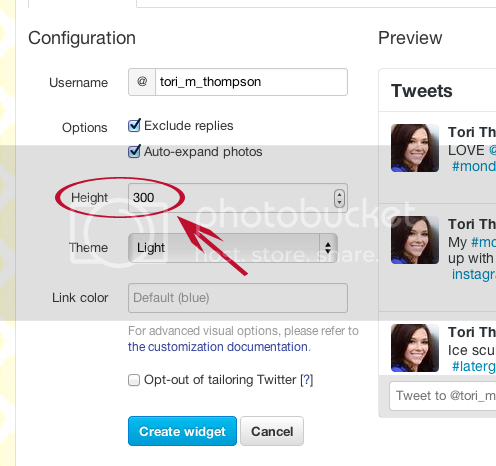 Instead of the standard 600px tall, I shortened is to 300px. I just don't want the widget to overtake my sidebar. 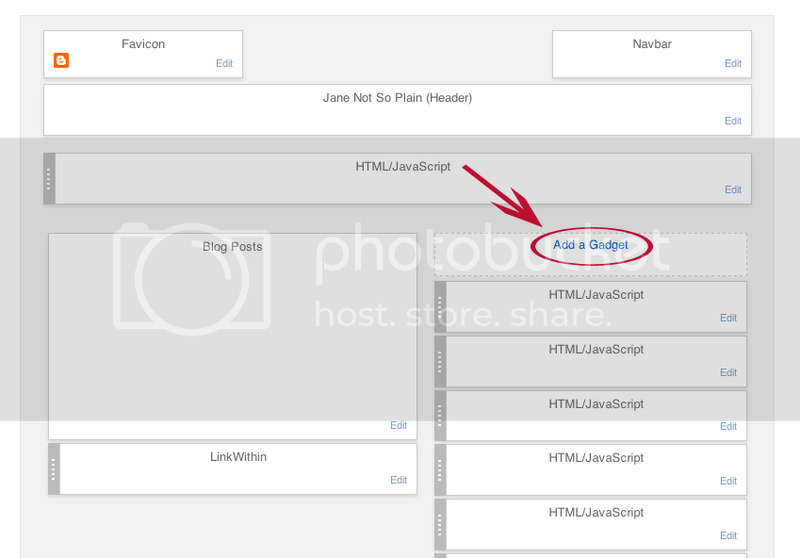 Once you have the settings set to your specifications, click on "Create Widget," and the HTML code you'll need to install on your side bar is generated. Copy the pre-highlighted code. 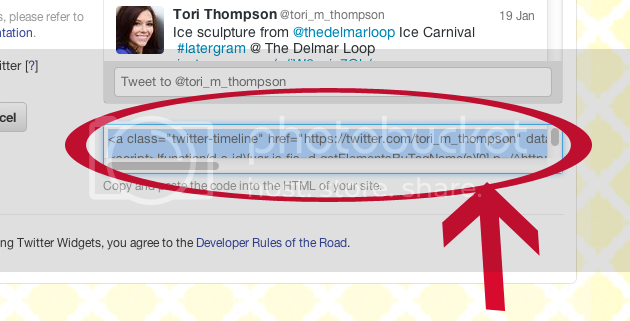 Paste the HTML code you copied from Twitter into the "Content" box, then click save. 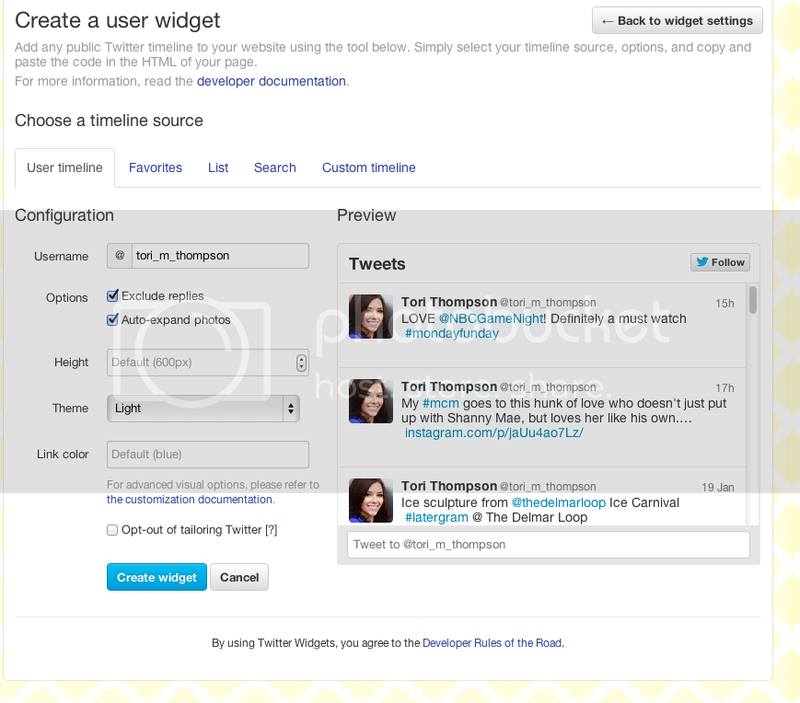 Your Twitter profile widget will automatically be added as the first gadget on your side bar. To move its position, simply click and drag to reorder. 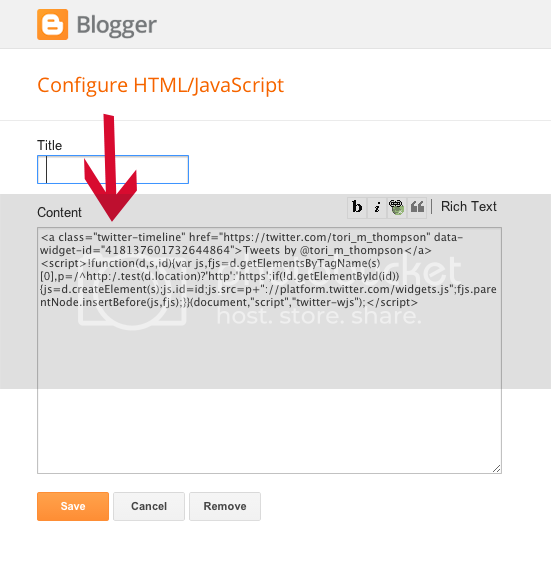 Once the widget is placed where you want it, click "Save Arrangement" at the top of the Blogger layout page. Voila! You've got yourself a fancy Twitter widget! I like having this widget because it shows my readers that I have a presence on social media, it allows people to follow me without leaving my site, and people can tweet me through the widget. Win, win, win all around! Will this work in wordpress as well?